Welcome to my website, Breath of Change. Like many people I have travelled various paths, and with over 40 years of work experience, I have tapped into many disciplines ranging from various office positions, including work within Social Services and the NHS, changing track to becoming a Fitness Trainer, Complementary Health Therapist and Yoga Teacher. It can be said life is about what we experience and perhaps how we experience it, and for some, there is growth leading to evolvement. My evolvement has led me to the areas of Psychotherapeutic Counselling and Hypnotherapy. Whichever practise I have been involved with, it has been and still is, both rewarding and a pleasure to make a difference by being part of a client’s journey. 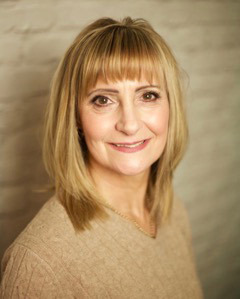 As a caring, non-judgemental and approachable therapist who respects whatever issue, however small, that may be troubling you, I will give you the respect and attention you need to resolve your concern as quickly as possible whether, it is of a psychological, emotional or physical nature. For this to happen, as a Counsellor, I use an integrative approach which means I draw upon a number of theories and models to aid my work. The same can be said for Hypnotherapy, however, for either service I may also work with the additional technique of Emotional Freedom Technique and EmoTrance. By drawing on both practises, let me help you grow and evolve. As Oscar Wilde once said, “be yourself, everyone else is taken”.